We’re working our way through the alphabet, and I like to share a set of math connections for each letter. 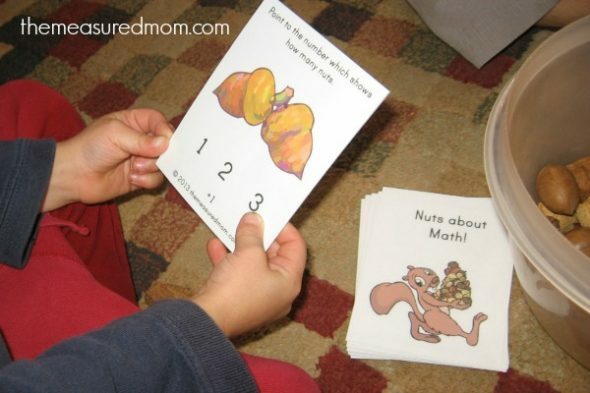 Since it’s November, we did six Fall math activities using nuts. Here’s an idea based on the Roll & Remove game from The First Grade Parade. I created these simple boards to help my Three with subitizing and my Five with addition. At snack time, each of my boys covered every space on the board with a single almond. My Three rolled a single die, identified the number (subitizing is doing this without counting each individual dot) and ate a nut off a matching number. My Five used a more advanced board. He rolled two dice, added them together, and ate a nut from their sum. If you have nut allergies in your home or classroom, try a different snack – like raisins, popcorn, cereal, or something sweet. 2 – Subtraction – Subtract It! We loved this Subtract It! math game from Confessions of a Homeschooler. It involves a lot of printing, but if you laminate the pieces (I love my affordable home laminator!) 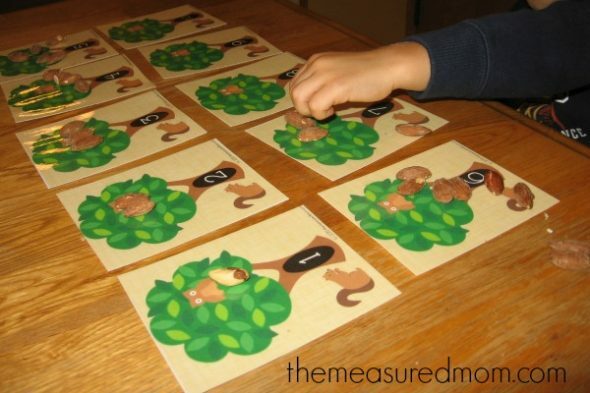 you will have a long-lasting subtraction manipulative. 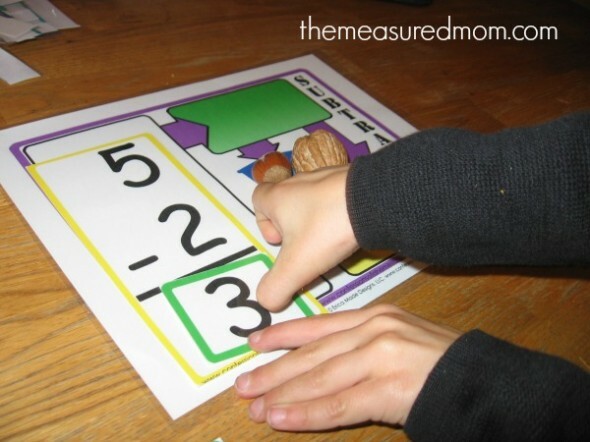 I used this with my first grader for some math facts practice, but it would wonderfully as introduction to subtraction for your preschooler. Any manipulative will work! I created these for my Three, who can count to 30 but still has a hard time counting groups of objects past five. Trying to help him slow down and count carefully is all the more difficult because he doesn’t want my help. We used these mats to practice counting objects to 10 and ordering numbers. 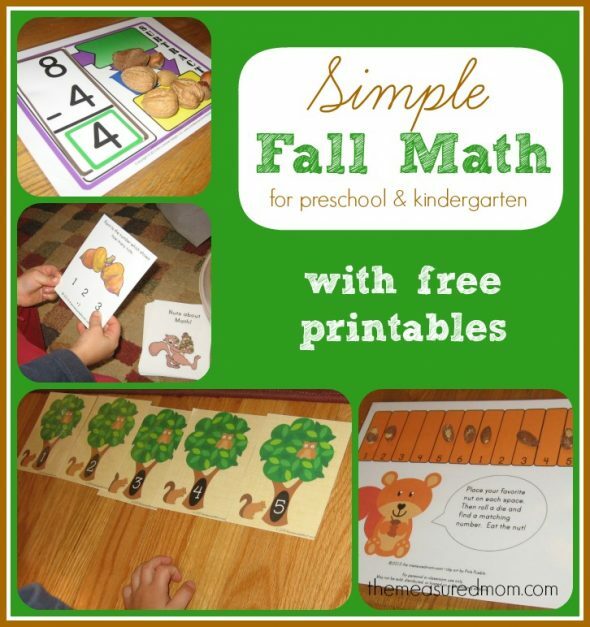 Read more about it and get my fall counting mats in my original post. To play this game you’ll need to print and cut out thirty playing cards and get a bowl of manipulatives. Again, we used mixed nuts – but anything will work. 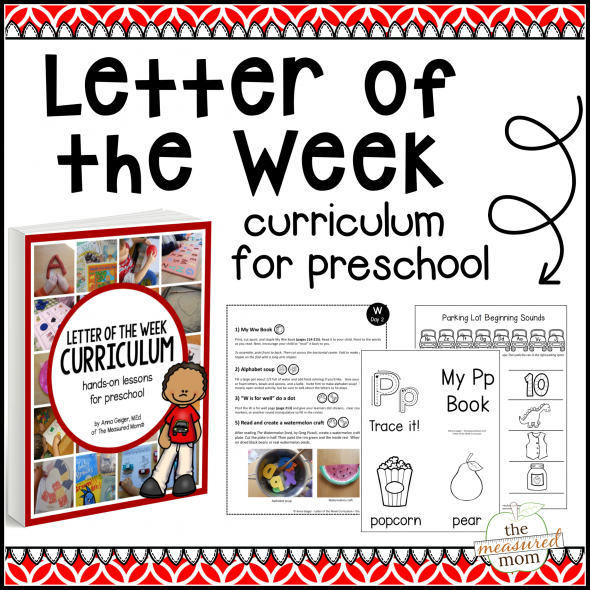 The cards are leveled by ability, so you can just use the simplest cards for your youngest preschooler (as I did for my Three) and get out the harder cards for advanced preschoolers and kindergartners. 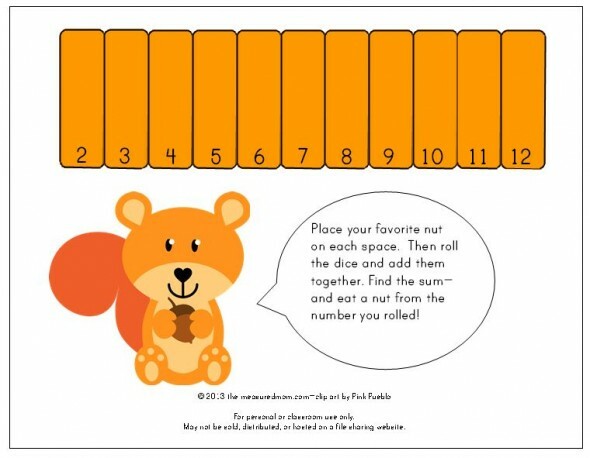 Read about it and get my fall math game in my original post. 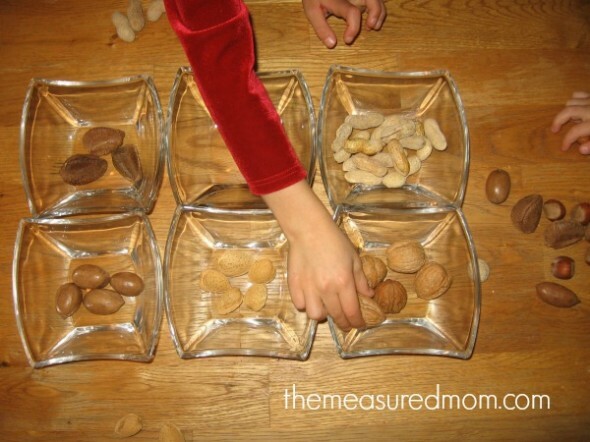 My kids had so much fun working together to sort the mixed nuts we bought at the grocery store. If you have a nut allergy at your house but still want to do a letter N-themed sort, try noodles. Just buy those cheap boxes at the grocery store – you’ll find a huge variety! 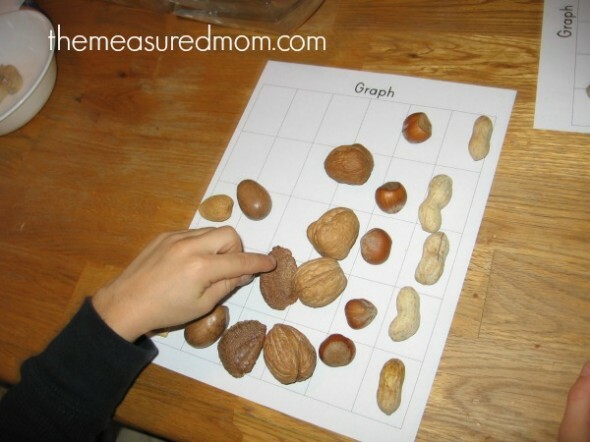 I gave each of my kids a bowl of mixed nuts and showed them how to graph them on this simple printable. They really enjoyed this activity, which can be tailored to different levels by the questions you ask. a) Which do you have the most of? b) Which do you have the least of? c) How many peanuts do you have? How many almonds? d) How many more peanuts than hazelnuts do you have? e) How many pecans and almonds do you have altogether? 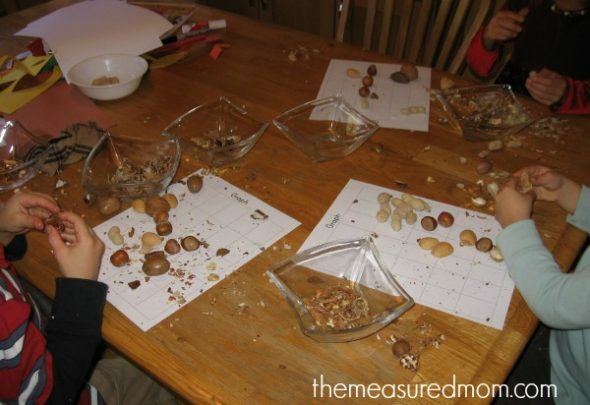 The kids were so glad when our nut-themed math was done so they could finally try all of our mixed nuts. I pulled out the nutcracker, and we made a giant mess. I was pleased that they enjoyed all the tastes and worked hard to extract the pieces from the shells — turning snack time into a great fine motor activity :)! Grab our Fall theme for more seasonal learning! This is really cute! I’m going to pin this for down the road when we start getting into counting & numbers! Great — I hope you get a chance to use it, Samantha! I just bought a bag of mixed nuts and was stumped on how I could incorporate them into a learning activity for my oldest. This is perfect!! Thanks for sharing. That’s funny, Malia, because a few years ago I bought some mixed nuts which sat on my shelf for a couple years before I pitched them. That was well before I started blogging and seeing how everything can be a learning opportunity 🙂 Loving all the new ideas over at Playdough to Plato! Anytime that math can be made hands on and fun is a plus in my book. 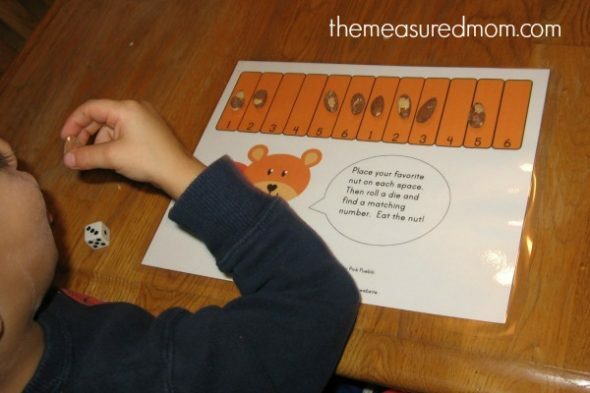 The roll and eat snack mat is super cute 🙂 Thank you for linking up and sharing this week on the Thoughtful Spot Weekly Blog Hop! Yes, my preschooler loved the snack mat 🙂 I’ll have to make those for different seasons, I think!